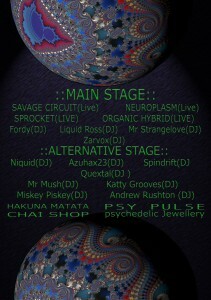 Two gigs in two nights coming up, and in both cases I’m privileged to be among an all-star cast of psybreaks and psytrance. First up, on Friday 7th September, Psychoactive Records brings a stellar lineup to the Talking Heads in Southampton for Higher Dimensions II. Featuring the mighty Neurodriver, Unconscious Mind(s), Re:Creation in both his live A/V psytrance and DJ psybreaks (Peak) guises, and Snook and Quextal complete the lineup. No fillers here – and it’s only a fiver. 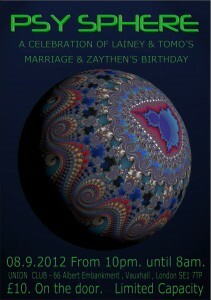 Facebook Event Page for Higher Dimensions II. 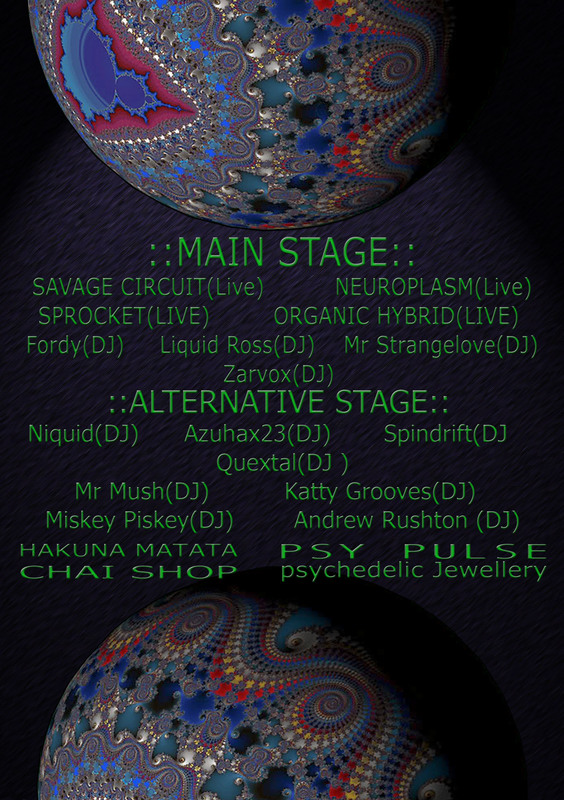 Then the next evening up at the Union club in Vauxhall, London, a very special night with two rooms of psytrance, psybreaks, progressive and more. 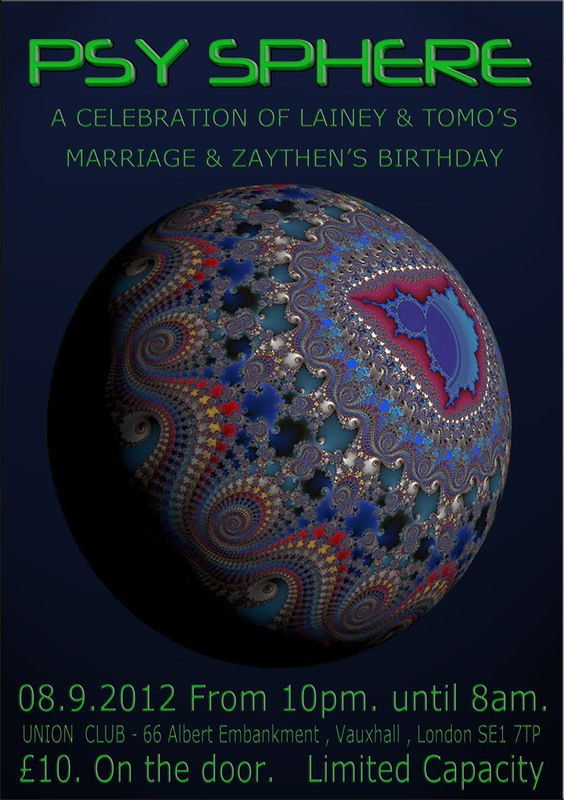 It’s a kinda wedding and birthday celebration but this lineup is too good to keep to ourselves to it’s open to the public. Just £10 for 10 hours of entertainment! Check this lineup: Neuroplasm (Live), Organic Hybrid (Live), Savage Circuit (Live), Beatnik, Liquid Ross, Mr Strangelove, Zarvox, Fordy, Niquid, Mr Mush, Andrew Rushton, Katty Grooves, Misskey Piskey, Spindrift, Azuhax23, Filthy Peasant, Amethyst and of course myself Quextal. There’s no advance tickets for this, and limited capacity so make sure you get down early!